The Android Go handsets Samsung Galaxy J2 Core and Galaxy J4 have recently been certified by the Wi-Fi Alliance with Android Pie firmware onboard. However, the arrival of the update might take a while. The Galaxy S8 and Galaxy Note 8 were certified back in November with Android 9.0 onboard, but the update is not ready for them yet. Android Go smartphones usually target the low-end sector of the market, so one cannot expect much in terms of major software updates. However, the Galaxy J2 Core and the Galaxy J4 (2018) might get Android Pie later this year as both have been certified by the Wi-Fi Alliance running the latest iteration of Google's mobile operating system. According to Samsung's Android Pie roadmap, the Galaxy J2 Core and Galaxy J4 (2018) are supposed to get the update in April. The fact that the Galaxy J2 Core and the Galaxy J4 have been certified by the Wi-Fi Alliance with Android Pie onboard is obviously good news. The problem is that the same certification authority was visited by the Pie-loaded Galaxy S8 and Galaxy Note 8 back in November and the official update still has to reach them, so the two aforementioned Android Go handsets might not get the new firmware in April after all. The problem with Android Go smartphones is that most of them are still waiting for the Android Pie update to arrive and, for most brands, updating these low-end handsets is not one of their most important priorities. 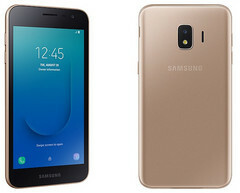 Fortunately, Samsung seems to be working on the Android Pie update for other affordable handsets, since the Galaxy J6+ is also supposed to get the new software in April. We just need to wait and see if the world's leading smartphone maker can keep up with its planned Pie roadmap or not. What do you think about Samsung's recent Android updates? Is the company moving fast enough to keep up with its competitors?